Dyno'd the wagon. Only has offroad downpipe and Hptune on E47. Cluth slipped a lil in 4th though. Grabbed the roller hard. 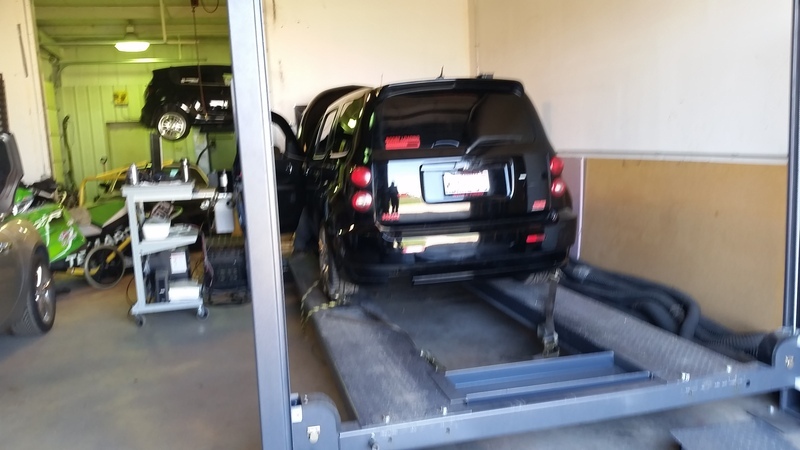 [URL=http://smg.photobucket.com/user/hugger1975/media/Cars/20160412_104553_zpsxfatyidu.jpg.html] "]Dyno'd the wagon. Only has offroad downpipe and Hptune on E47. The heck? What kind of load was on that dyno? It went through 4th as fast as 3rd does. if id had been too loose, it would have spun the drum. The shop had no hands in my tuning and noting to gain from i flated numbers. Actually had more to lose since they did my clutch and wanted me to upgrade. 4th gear, not a real #. Should have done third gear and slowly accelerated past 3500 rpm and then floored it. Makes no sense. Would be less power than 3rd, not more. For the record, I tuned the OP. Makes no sense. Would be less power than 3rd, not more. For the record, I tuned the OP. My 3rd and 4th gear Dyno pulls weren't much different. Nice hp numbers, torque looks a little low for e though. I made 341/424 and I never spun on the dyno, not even a 6759 spins on the dyno. It was your clutch. So a cobalt / hhr are exactly the same? We have the same tune and gearing? I believe you but I won't floor it at 2,500, too low. Good #'s and a nice curve!! The elephant in the room is: Do you have LSD..... No LSD and you're doing the Dave Edmonds on the rollers. Well? I have the performance brembo pkg so yes why? All the ss's from 08-10 came with brembo's. Is it a g85 car? and it of curiosity, why?